Each year, hundreds of accidents are caused by careless digging. From planting a tree to building a deck, many projects can result in damage to utility lines, service interruptions, property damage, financial penalties and personal injuries. Prevent damage to yourself or your neighborhood by making the call to 811. It’s the law. 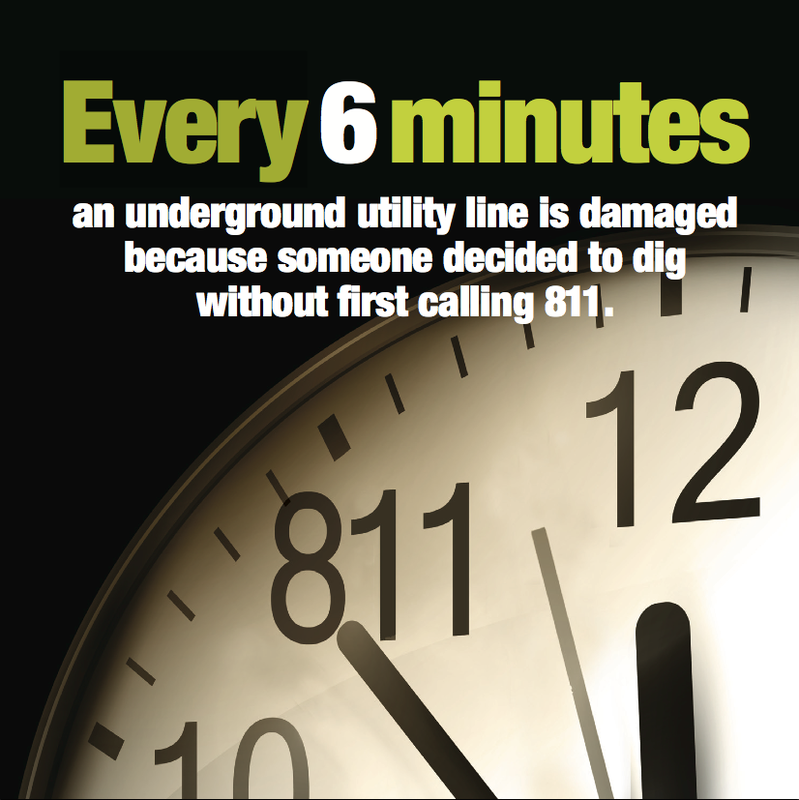 Why Call 811 Before Digging? MISS DIG receives a request. Depending on the service request location, MISS DIG contacts local utility companies that provide natural gas, electricity, sewer, water, cable fiber optic and others who have lines buried underground. Within three business days, the local utilities will send representatives to mark the digging location with paint or colored flags. Dig a hole– win prizes! Learn more. Call 811/MISS DIG three working days before you plan to dig. Make sure all utility lines are marked. Contact 811/MISS DIG to confirm. Respect the marks made by utility locators when using shovels or power equipment. Avoid using mechanized digging equipment near marks. Choose another location to begin your project if the original site is near utility lines. If you hired a contractor, confirm a call to 811/MISS DIG was made before they begin work on your property.